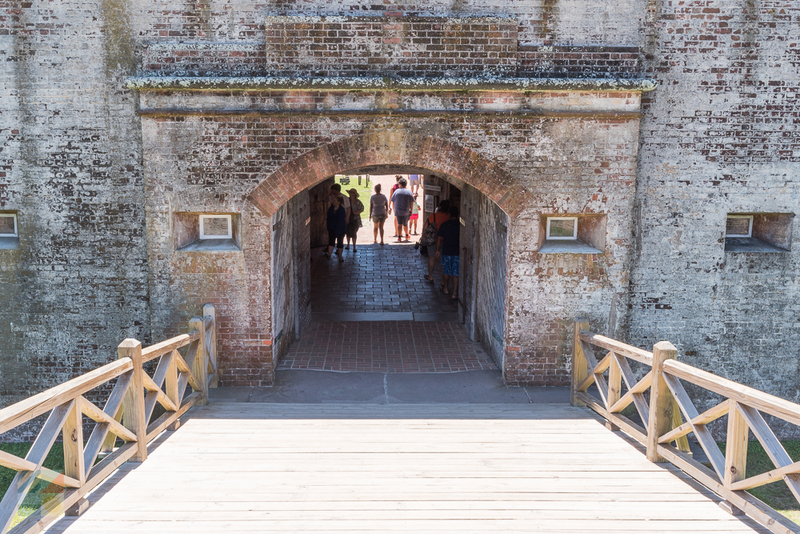 Reserve an afternoon to explore the five-sided fort in its entirety, or dedicate a full day to exploring the local history followed by a bit of lounging along the expansive beaches, and discover why this attraction is considered a highlight of any Atlantic Beach vacation. 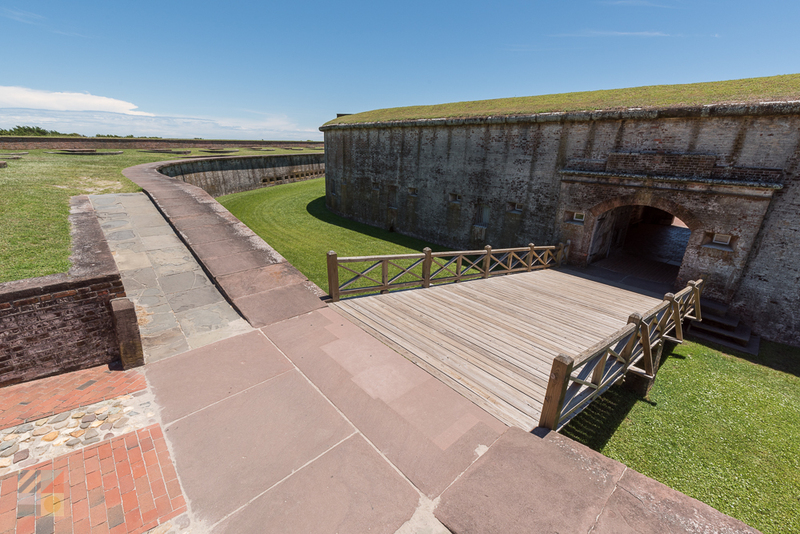 While 389 acres certainly seems like a big parcel of land along on this skinny NC Barrier Island, Fort Macon State Park is actually one of the smallest state parks in North Carolina, and yet remains one of the most visited, with more than 1.3 million people every year making the eastern turn along Fort Macon Road to visit the site. 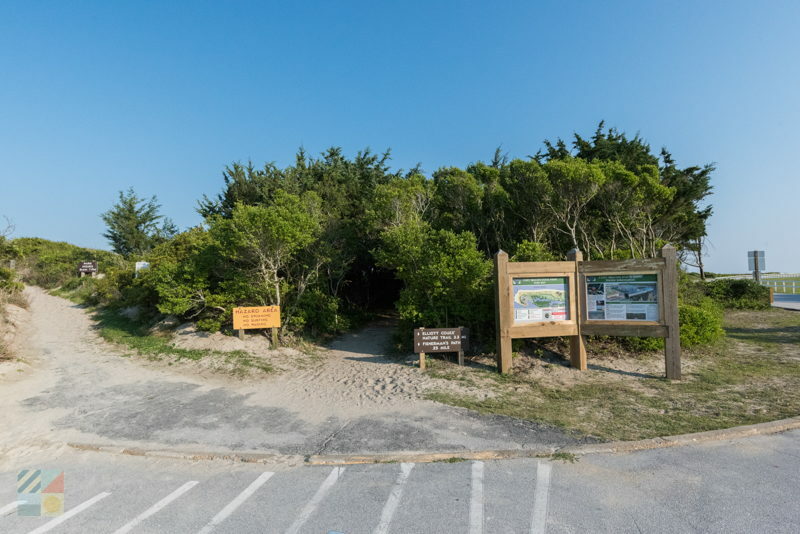 The entrance to the park is unmistakable and is easily reached by simply heading east along the main road, (US 58), that runs along Emerald Isle, until the local Oceanside collections of beach houses and businesses disappear, and are replaced by nothing but sand dunes and park-funded public parking areas. 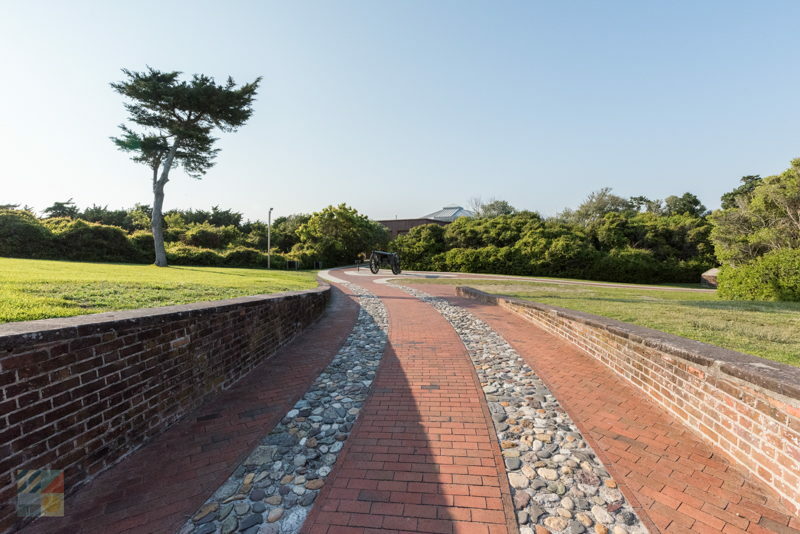 Fort Macon's largest public parking area, the Boathouse, is located close to the entrance, but history buffs will want to drive on until they reach the official entrance to the Fort Macon Historic Site. 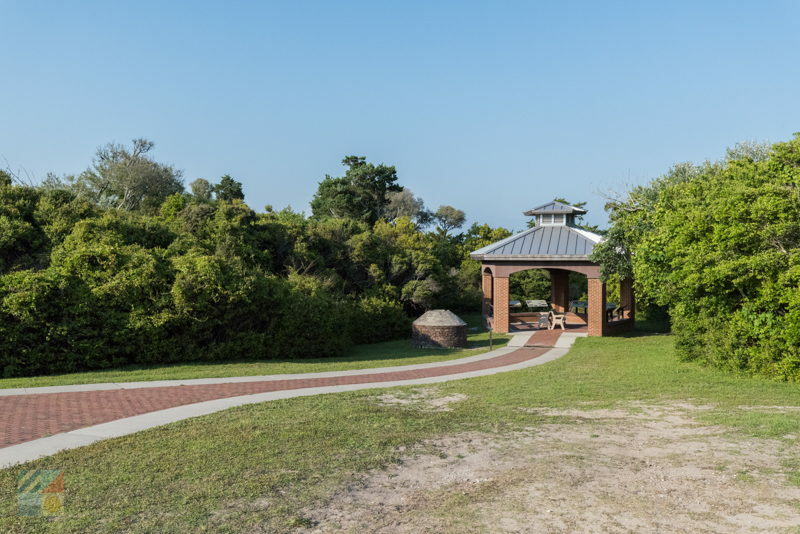 The incredible well-preserved fort has a fascinating history that matches the fascinating above-and-below ground structure, which was first constructed hundreds of years ago as a response to the North Carolina coastal region's infamous pirate attacks. 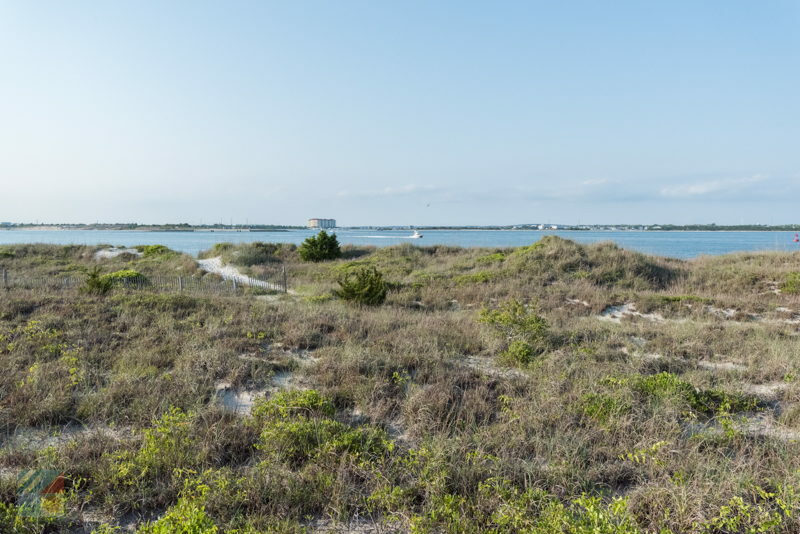 By the 1750s, the early colonies had already been constantly threatened by foreign nations, like Spain and France, in addition to notorious pirates, like Blackbeard himself, who were able to freely cruise in and out of the neighboring Beaufort Inlet at will. 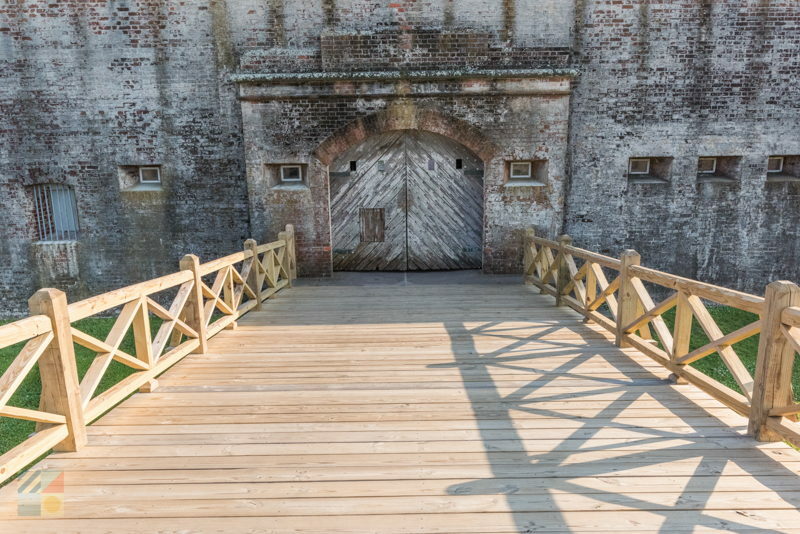 Realizing that the situation was getting noticeably out of hand, NC leaders commissioned the construction of a fort, known at the time as "Fort Dobbs," in 1756. 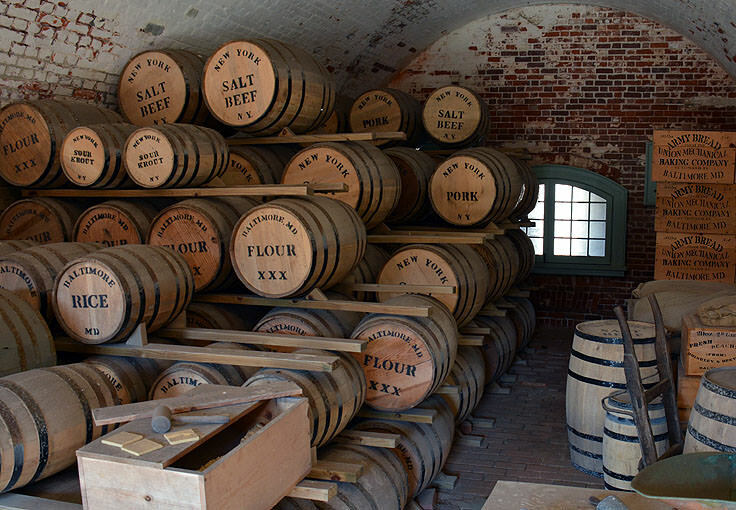 This first attempt did not get very far, as progress was slow, and the American Revolution put a stop to the building process indefinitely. 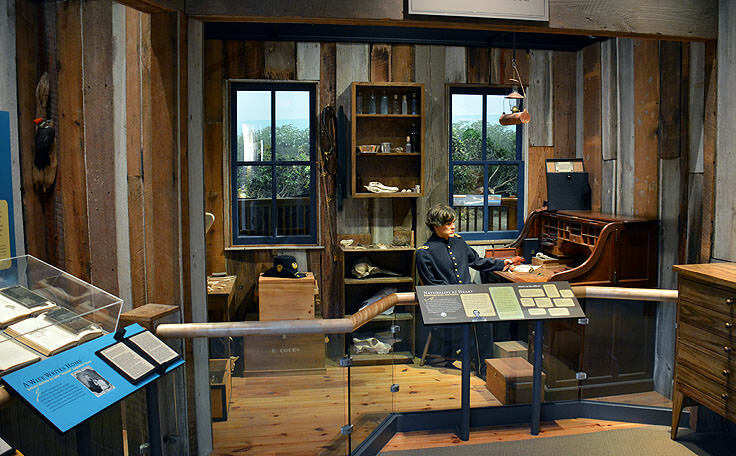 It wasn't until 1808 that construction began anew, and this new structure, "Fort Hampton," was a small masonry structure that was horseshoe shaped, and comprised of an oyster shell material called "tabby." 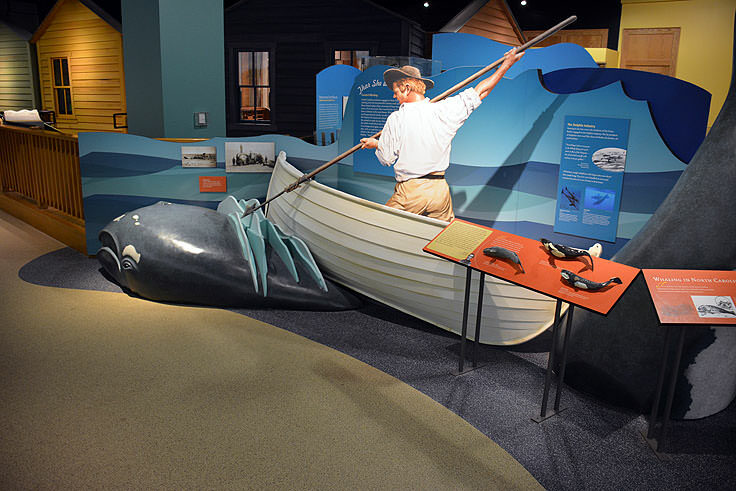 While Fort Hampton was useful during the War of 1812, it was inevitably deserted and forgotten after the war, and thanks to encroaching erosion, was eventually lost to the waters of Beaufort Inlet. 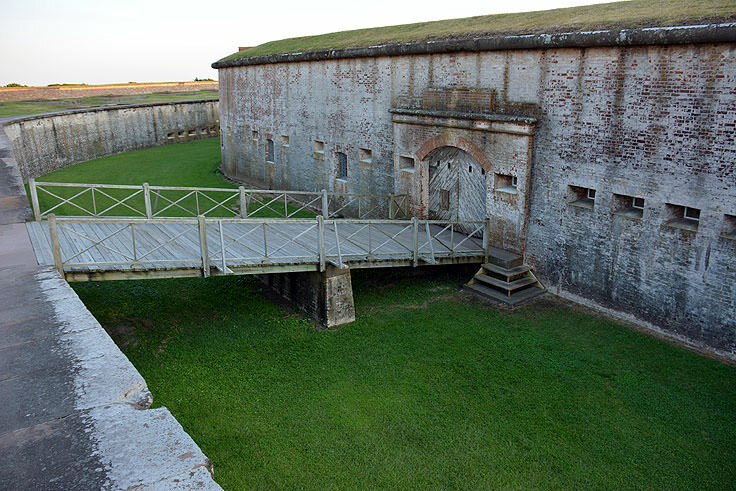 The final fort to be constructed at this imperative locale was Fort Macon, which was named after the U.S. 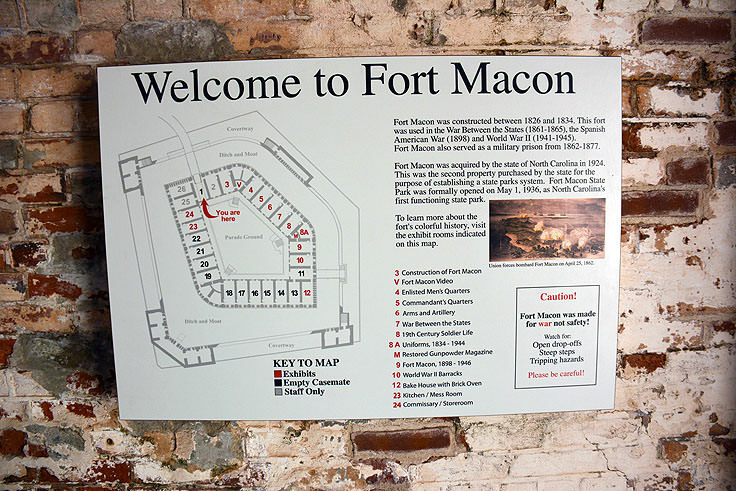 Senator from North Carolina, Nathaniel Macon, who procured the funds to construct a third defensive structure at the site. 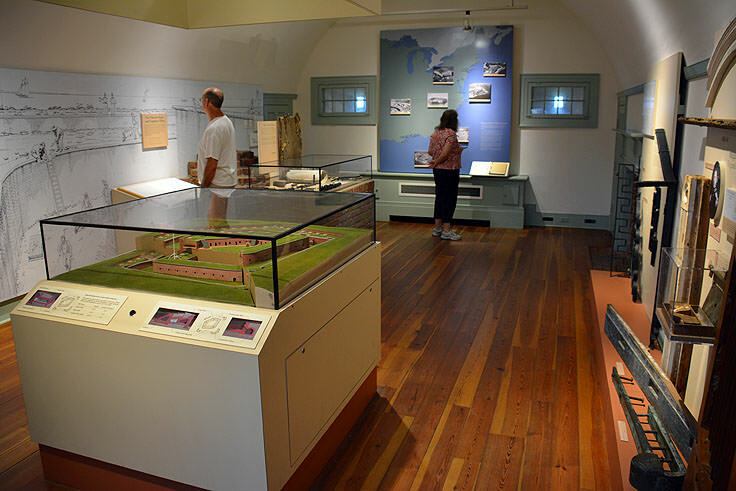 Construction began in 1824, and by 1834, the completed five-sided fort was a network of solid, above-ground walls, and almost hidden living quarters and storage areas. 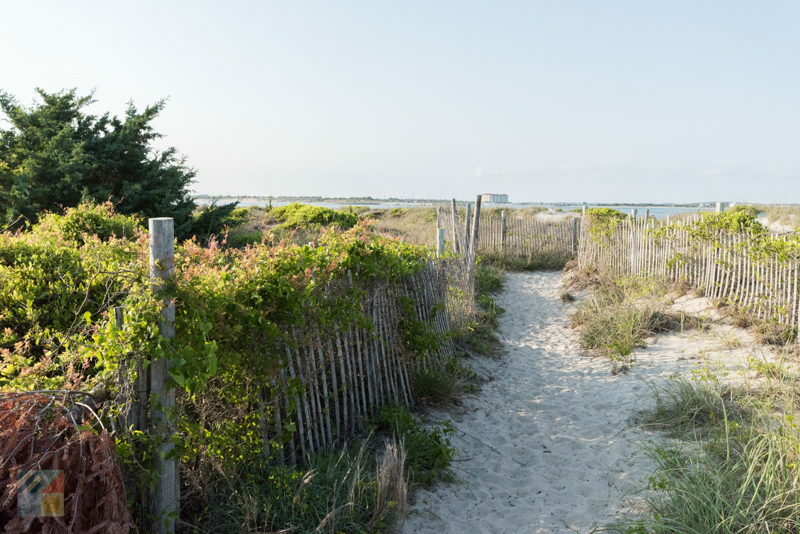 Improvements were made in the ensuing years, including a revolutionary new erosion control, designed by famed future Confederate general, Robert E. Lee. 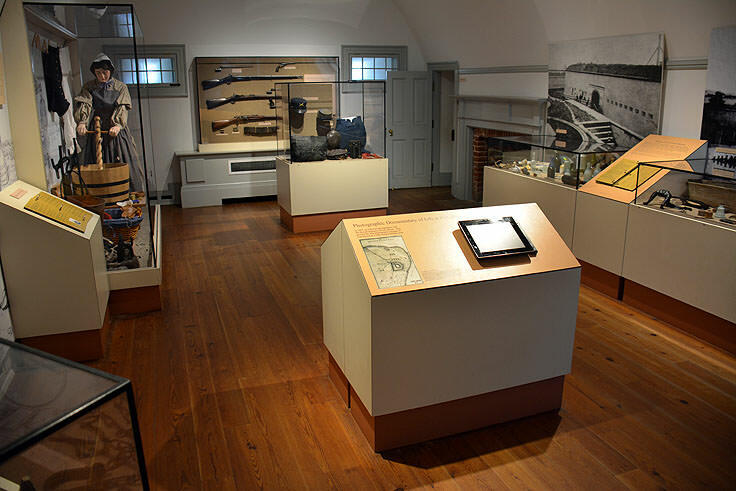 This involvement of General Lee would prove to be prophetic, as when the Civil War began, the fort suddenly became a very important stronghold for the Confederate forces to protect the busy port towns of Beaufort, New Bern, and a number of other central coastal regions in North Carolina. 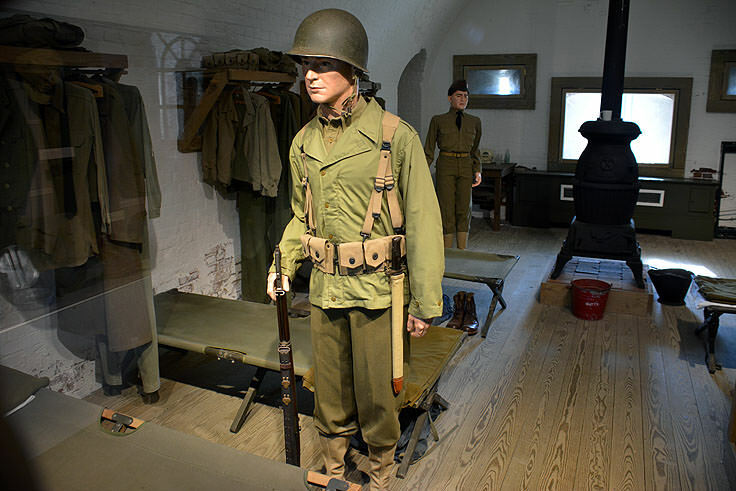 In fact, two days after the war officially began, troops from the North Carolina militia stormed the base and took over the fort in the name of the Confederacy. 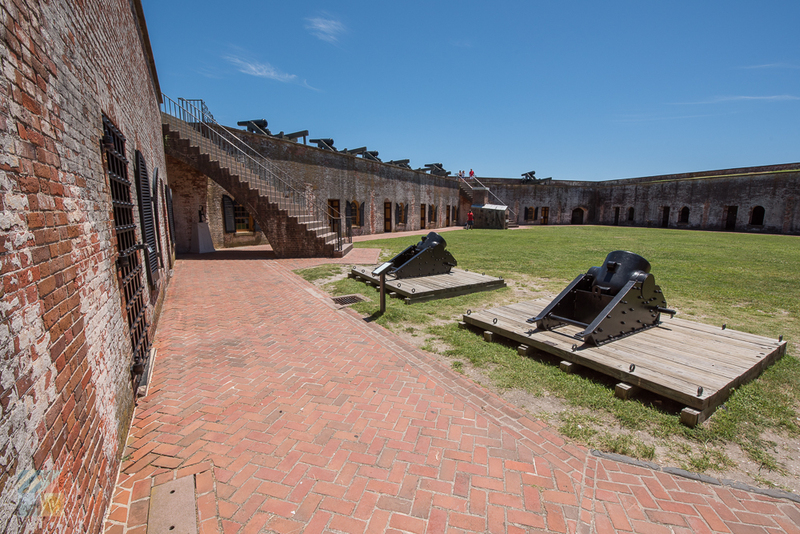 The south controlled the fort for just under a year, arming the structure with 54 cannons, until Union forces swept through the region in 1862, capturing Beaufort and Morehead City, and setting their sights on the coastal Fort Macon. 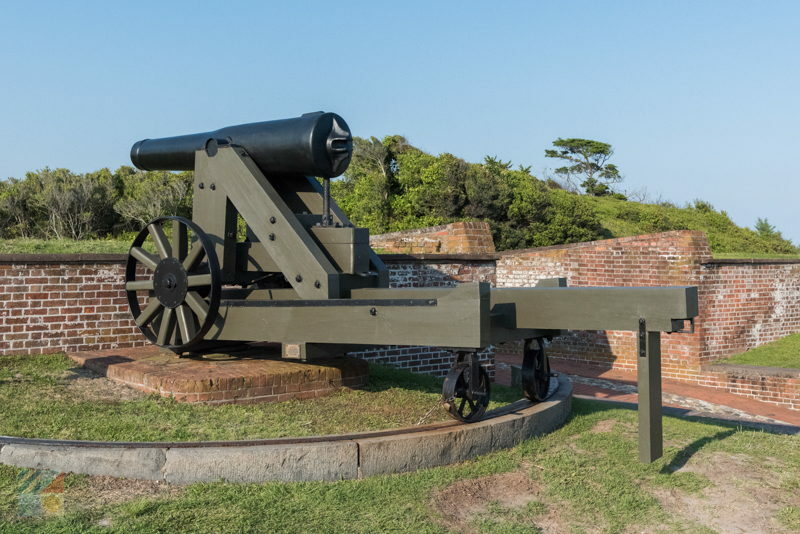 The 400 Confederate troops stationed at the fort refused to surrender, despite the bleak odds, and after a long battle that included 560 cannon shots to the exterior of the fort, Fort Macon was extensively damaged and the fort's leader, Col. White, was forced to surrender the site. 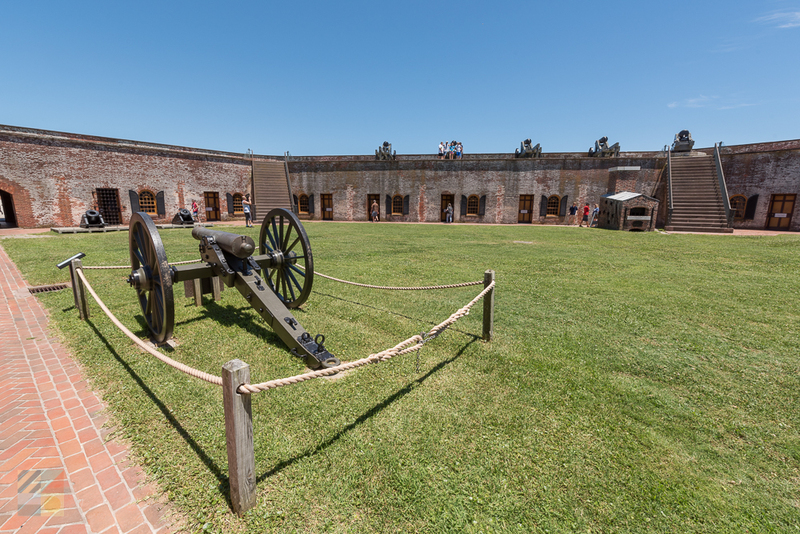 Unlike many Coastal Carolina Civil War forts, which were burned to the ground or completely destroyed shortly after their heyday, Fort Macon proved to be a useful site for the Union Troops, and the fort remained occupied well into the Reconstruction Era. 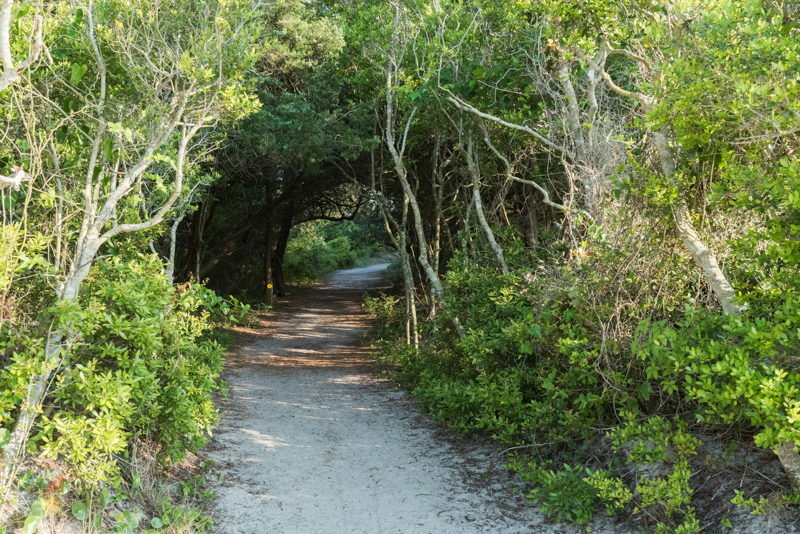 Finally abandoned by the US Army in 1903, just 30 years later in 1936, the relatively intact structure was open to the public as a North Carolina State Park, as the state was able to purchase the fort itself and the surrounding region for the whopping price of $1.00. 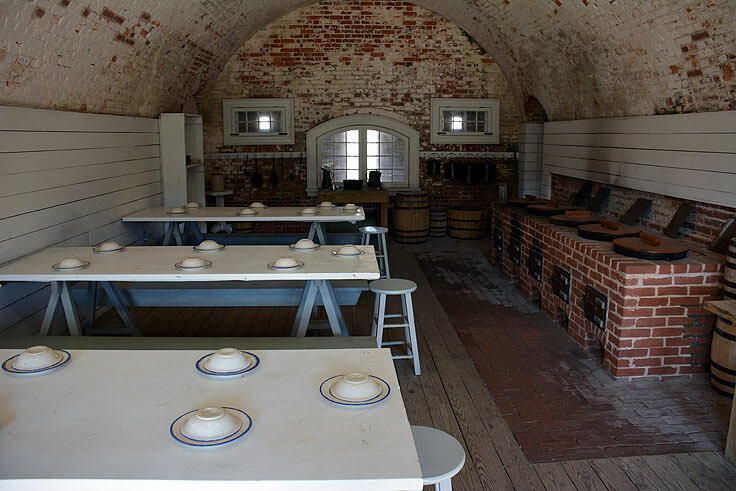 Today, Fort Macon is open for exploration daily, from 9:00 a.m. until 5:30 p.m., and is a fascinating step back in time. 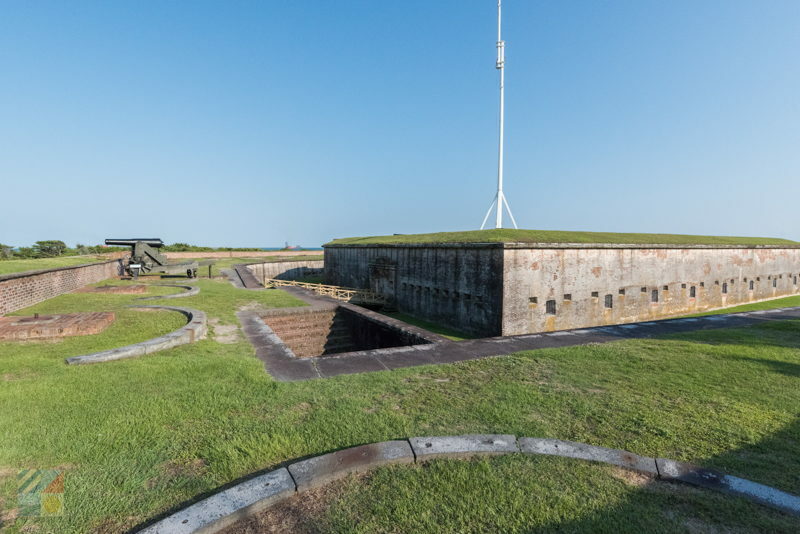 Short tours lead by expert park staff take visitors deep into the history and concaves of the fort, which include underground storage areas, cramped living quarters, and the unmistakable five-sided perimeter that feels safe and imposing at the same time. 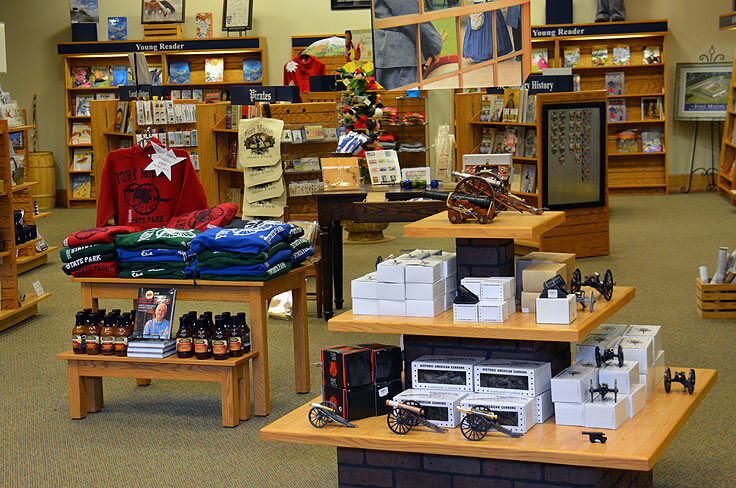 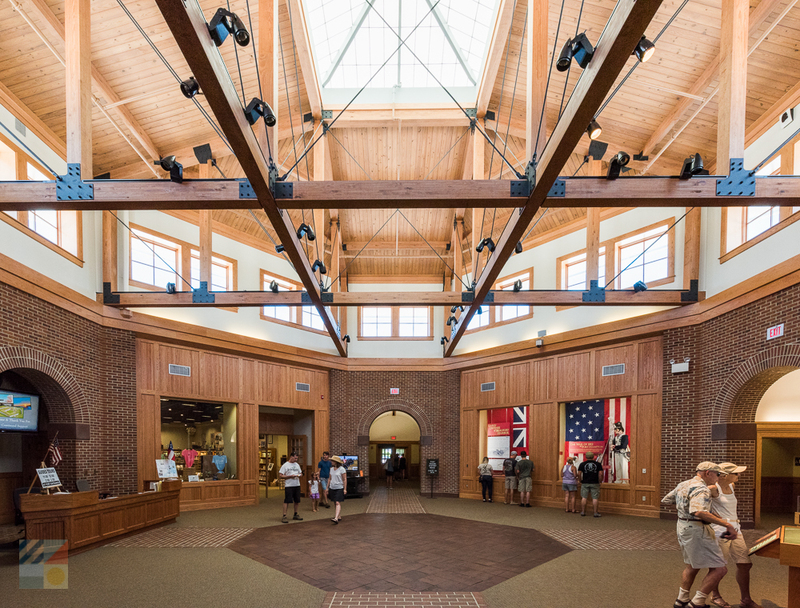 A Visitor's Center is also located on site for a wealth of information on the fort itself, the local ecology, and the Crystal Coast region in general, and there's also a bookstore on the premises for seaworthy reads and local souvenirs. 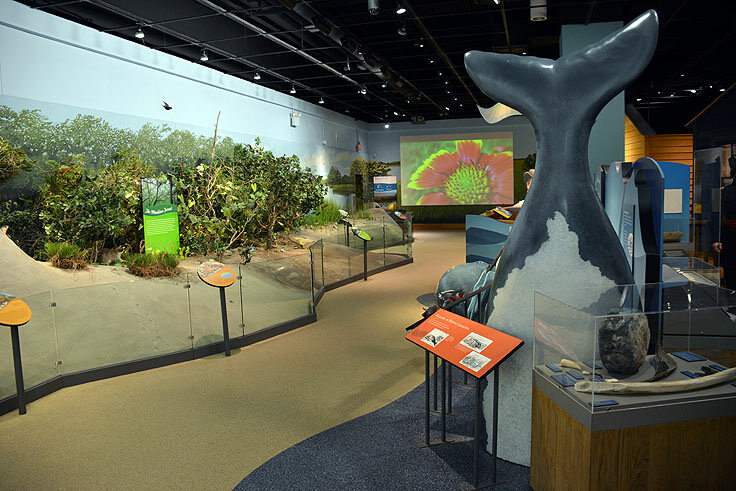 Tours are available throughout the day, without advanced reservations, for a small fee. 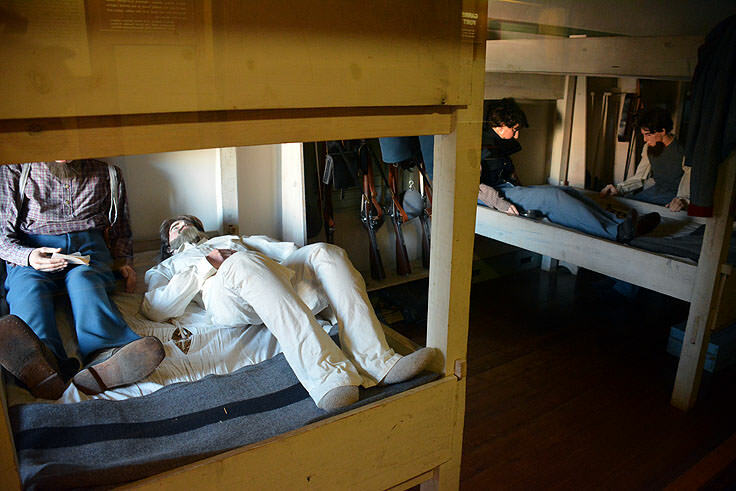 The fort is also home to a large series of special events, including frequent Civil War reenactments that happen every month of so during the spring, summer, and fall months. 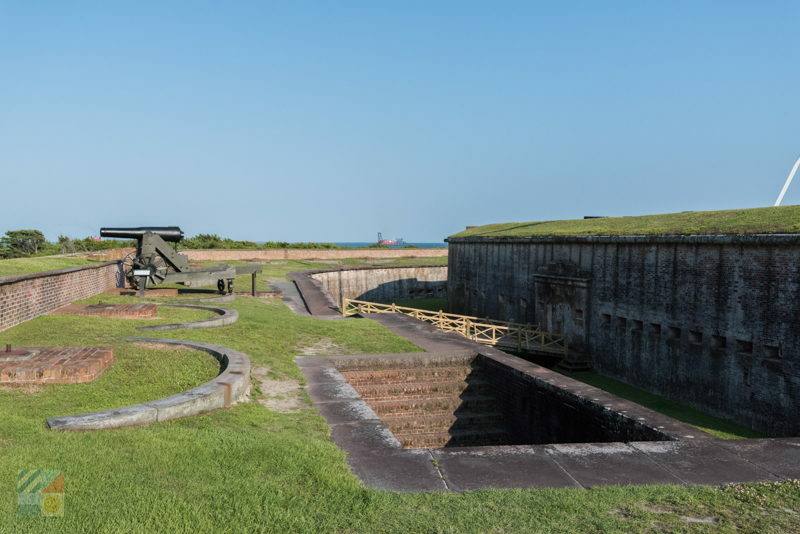 A unique way to watch history come to life, these reenactments showcase the courage that the local troops exhibited, even in the face of unsurmountable odds, and are worthy of attending for the booming blasts of the perimeter cannons alone. 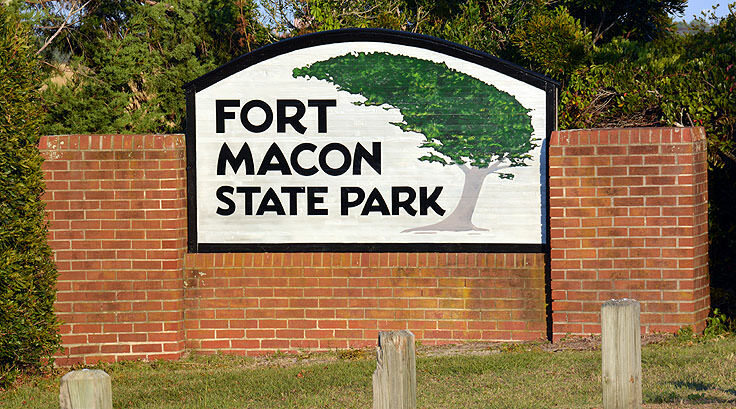 For more information on upcoming events, and special educational programs including nature walks and tours, vacationers can access the fort's official events page at http://ncparks.gov/Visit/parks/foma/events.php. 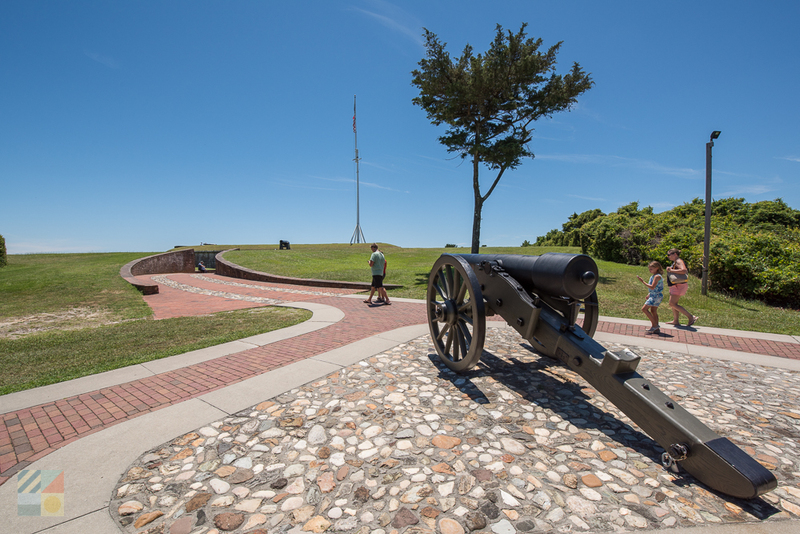 Outside of the fort structure itself, Fort Macon is also an enticing spot to enjoy a long, leisurely stroll along the beach, soaking up the incredible views and wild landscapes found in this undeveloped region of the Crystal Coast. 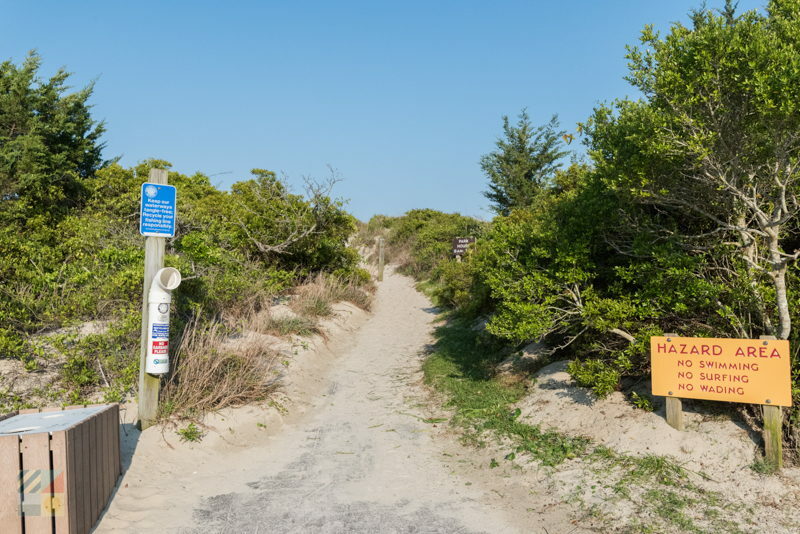 The bordering jetty is a great spot to uncover sea urchins, starfish and mollusk shells around low tide, and the soundside region is abundant with towering live oaks and cedar trees. 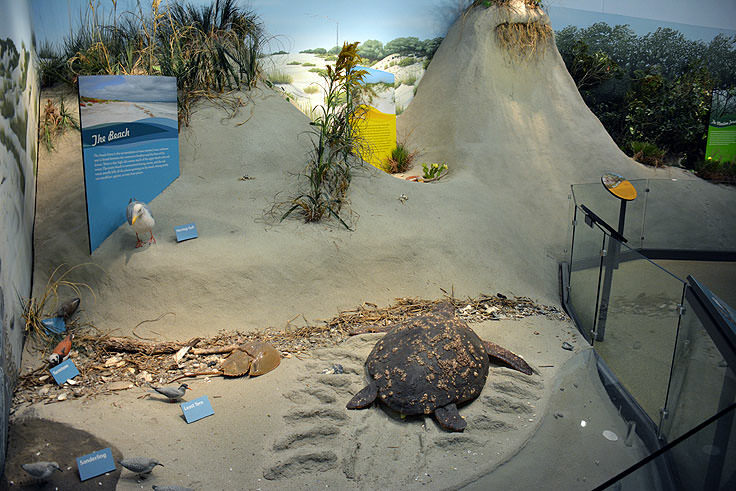 A great destination for a natural exploration, visitors are welcome to explore the beaches and borders of the fort, and discover this unique ecosystem at their leisure. 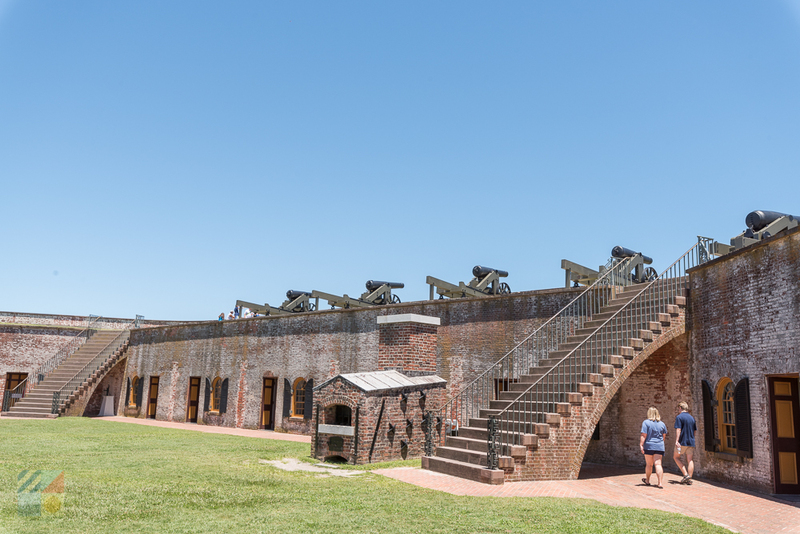 Fort Macon State Park is effectively one of the highest reviewed and most popular destinations along the Crystal Coast, and Atlantic Beach visitors will have an astonishingly easy access to all the action. 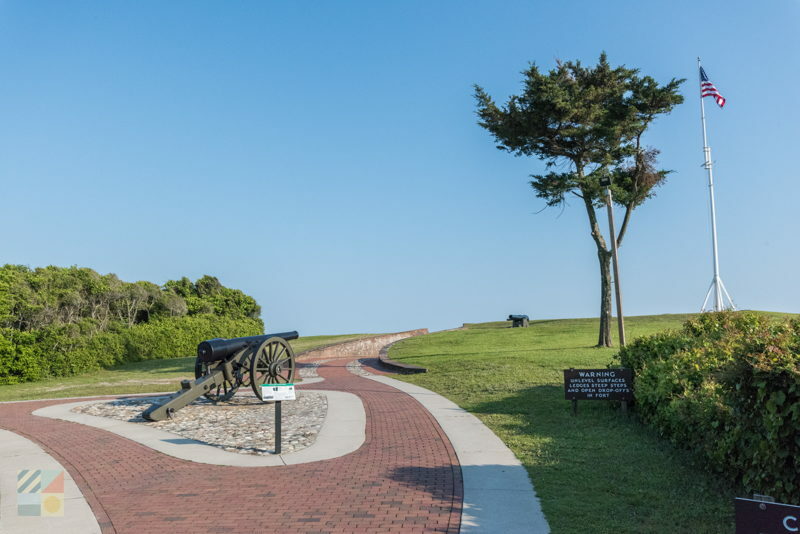 Filled with history, pristine beaches, gorgeous views, and a unique story that is virtually unforgettable, Fort Macon State Park is a prime example of why the Crystal Coast is considered one of the most memorable and inviting vacation destinations along the Eastern Seaboard. 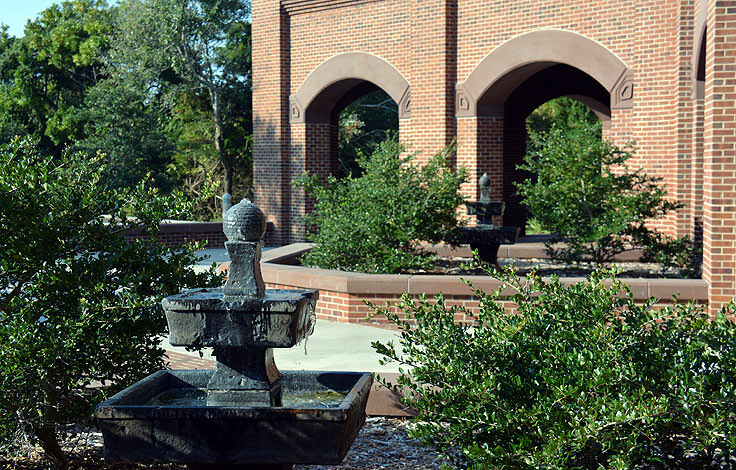 Call 252-726-3775 for current hours.